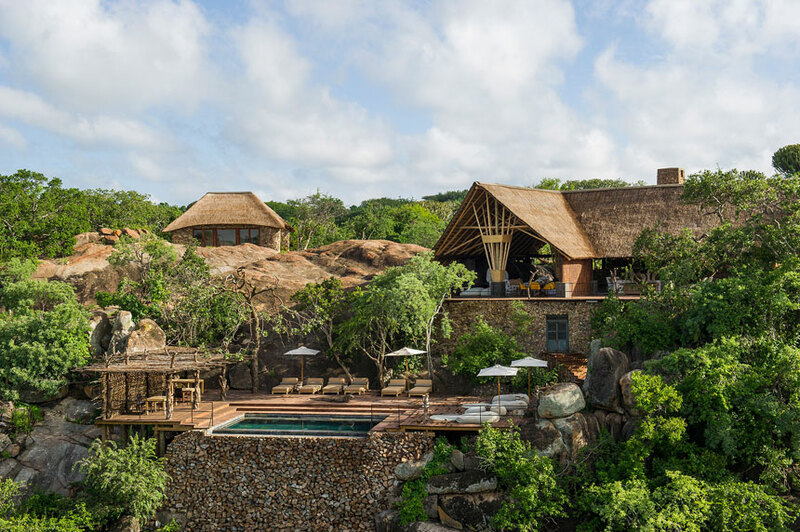 Mwiba River Lodge, located within the Mwiba Reserve bordering the southwestern part of the famous Serengeti National Park, is set among massive stone boulders, ancient coral trees and acacias, and overlooks a rocky gorge on the Arugusinyai River. Set in harmony with this idyllic natural backdrop, Mwiba offers an unmatched experience in luxury adventure. This exclusive destination mixes both traditional and modern design elements, creating an inviting, sophisticated hideaway. The interiors of this stylish destination are a combination of both traditional and modern design elements. 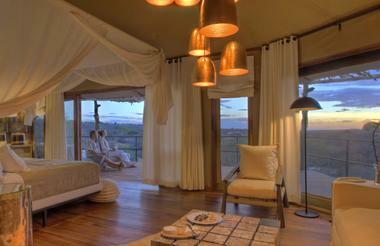 The eight double suites all give way to a wide-open layout where each room flows into another. Stylishly designed interiors of the highest standards leave little to be desired. The philosophy is one of nature, with traditional canvas walls and wide views from hardwood planked decks. The grey slate-lined infinity pool overlooks three springs where guests can enjoy the sights and sounds of wildlife.